CHIAVARI, Italy - When the committee that presents nominations to UNESCO World Heritage Committee submitted their report on Naples, they couldn’t come up with another Mediterranean city to compare it to. They said any comparison to cities like Barcelona or Marseille would be worthless for Naples is completely different and unique, with a quality that is hard to define. Part of that uniqueness is the strong religious life of the Neapolitans. There are many feast days dedicated to the saints, especially San Gennaro, the patron saint of the city. 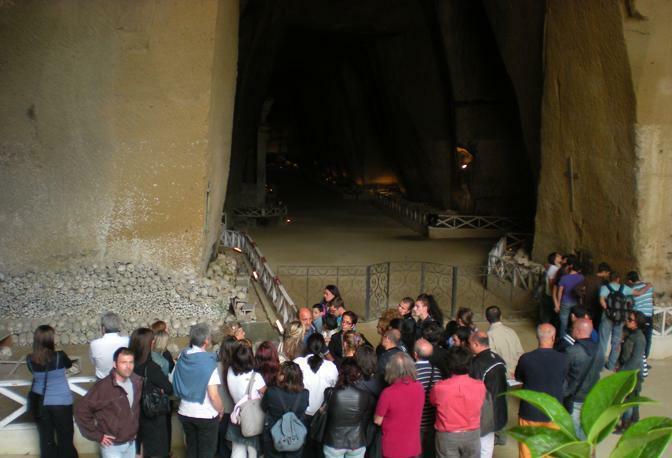 And at one time there were a number of religious cults that were also popular in Naples. One of them was the Cult of the Purgative Souls, purgative souls being the remains of those whose identity is unknown. The unknown souls were called pezzentelle. Since the pezzentelle didn’t have a proper burial, albeit not through any fault of their own, they were not included in the prayers of their relatives, and so many believed that their souls were doomed to spend eternity wandering in purgatory. The story of the pezzentelle began in the 1600’s, a period when Naples suffered one disaster after another, and sometimes more than one at a time. There had been several periods of severe famine, three earthquakes, Vesuvius had erupted five times and there had been multiple epidemics of the Black Plague. The worse outbreak of the Plague happened in 1656. It is estimated that 250,000 to 300,000 people died out of a population of 400,000. Naples was gutted. 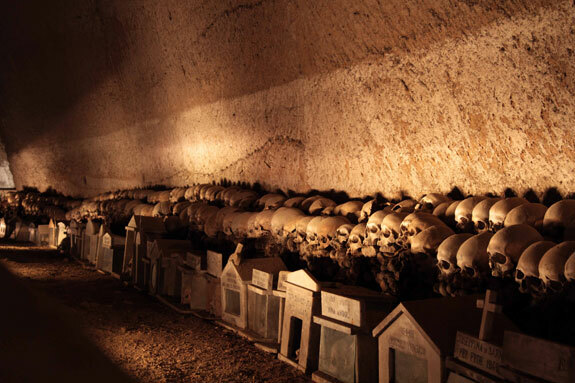 With so many people dead and more dying every day, there were too many bodies to bury in the church cemeteries so their bodies were taken out of the city and left in the ancient tufo mines near the Materdei hill. 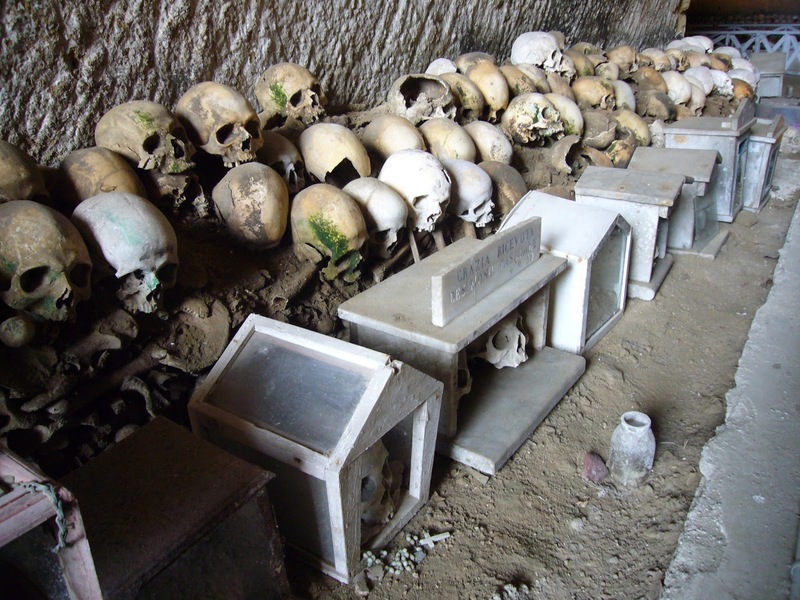 As years passed that area became a cemetery for the poor and abandoned, and was called the Cimitero delle Fontanelle – Fontanelle cemetery. It is now estimated that about 8 million souls are buried there. The Neapolitan cult of the pezzentelle didn’t actually get started until the end of the 19th century when the church of Maria Santissima del Carmine was built. 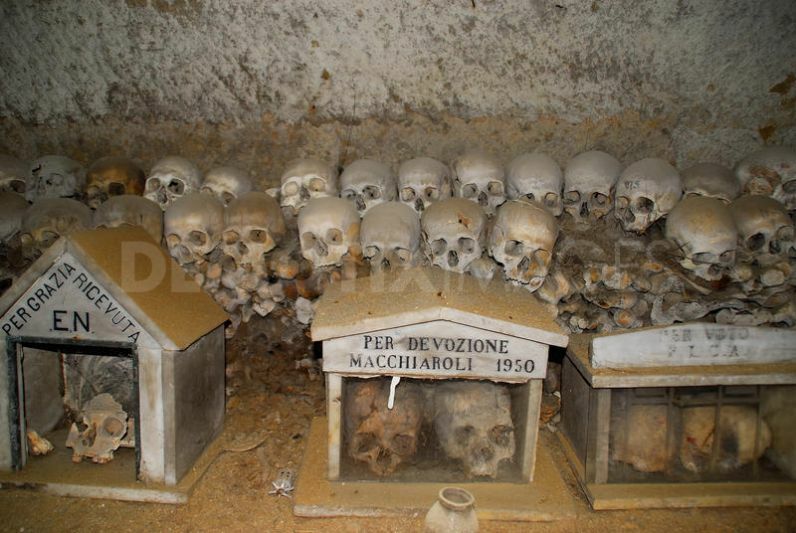 It was Father Gaetano Barbati, and a group of pezzentelle devotees, who collected thousands of bones from the Fontanelle Cemetery. 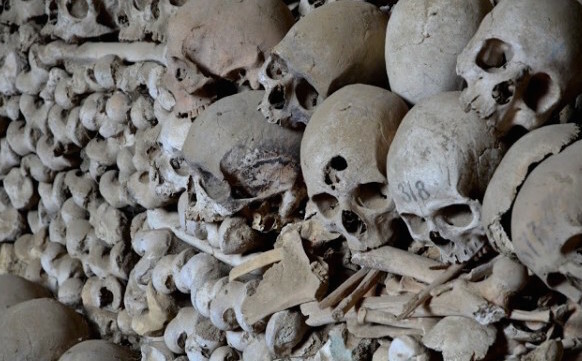 They organized the bones and skulls of about 40,000 corpses with the hope of finding the remains of long lost ancestors. As there was really no way to identify any of them, they began adopting one or more of the skulls (the capuzzella) they had retrieved, and would make them the principal object of their prayers. They built in long tunnels under the church and placed the skulls in marble and wood niches that they lined up against the walls. They gave the skulls names, lit candles in their honor, and brought them flowers. The adopted souls were then asked for favors and graces such as recovery of an illness or relief from a broken heart. The skulls became the symbol of those ancient souls, of their continuity, as the skulls and bones are the only things that the dead have left behind. In the 1800’s, a plaque was placed outside the church of Maria SS Carmine in memory of those who died during the plague, in poverty or in prison, and as such are part of the large group of unknown souls. And to thank those tormented souls I for graces received through their intercession, many of the faithful have placed devotional urns in the Cemetery. In 1969 Cardinal Corrado Ursi banned this cult because he thought it was based on superstitions and therefore not an admissible religion. So the cult of the Purgative Souls is not practiced in Naples any more, and the only way people hear about it is through the stories told by their grandparents, who understand how important this cult was, its tradition, faith, magic and mystery. In the words of Death - "I was what you are, you will be what I am."